UBC Life Building (Old SUB) is located near the red arrow on the map below. You can plot a second location below. 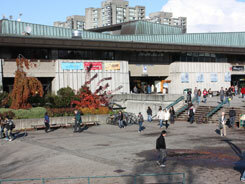 Finding Your Way: The UBC Life Building (old Student Union Building or SUB) is located on the south side of Student Union Boulevard near the Bus Loop, Aquatic Centre, and Student Recreation Centre (SRC). Detailed Directions: A road map and detailed directions for UBC Life Building (Old SUB) can be found on Google. Use the search function below to find and highlight a second location with an orange arrow on the map above (the red arrow will indicate the first location, UBC Life Building (Old SUB)).